Sekeita Lewis-Johnson is a Registered Nurse and International Board Certified Lactation Consultant (IBCLC). She earned her Bachelors of Science degree in nursing December 1997 from Michigan State University. From there she went to live in Washington D.C. where she participated in a maternal-child fellowship program geared towards new graduates entering specialties. For the past 20 years, her primary focus has been labor and delivery, maternal-child and surgical nursing. She is currently employed by Henry Ford Health System where she provides clinical management of lactation, develop lactation curriculum, perform quality improvement projects, and serves on the Baby-Friendly Collaborative Committee. 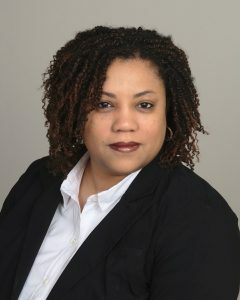 She has experience as a Nursing Instructor teaching at various hospitals in the Metro-Detroit area. Additionally, she does home-visiting lactation consultations for Harambee Care MIHP. She is currently a Doctor of Nursing Practice Candidate at Wayne State University in Detroit, Michigan. She is the President of Black Mothers’ Breastfeeding Association. Passionate about breastfeeding and its health outcomes, Sekeita provides lactation services in the City of Detroit and surrounding areas with an emphasis on exclusivity. Her main goal is to help breastfeeding families achieve their feeding goals. She believes that breastfeeding self-efficacy is key to breastfeeding success. Sekeita has breastfed 3 children and has first-hand knowledge regarding breastfeeding challenges.